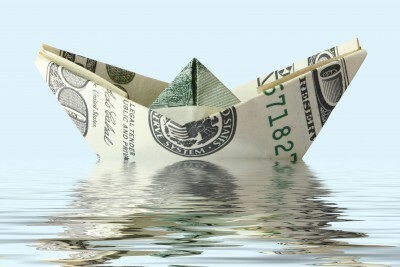 World Bank President: Lets Invest US $40 TRILLION in Renewables | Watts Up With That? World Bank president Jim Yong Kim claims that investors who currently hold $40 Trillion worth of government bonds and other low yield investments would be better investing the money into renewables. Climate change should be grasped as an opportunity to attract vast capital flows into low-carbon investments, create jobs and spur economic growth, rather than viewed as a money-absorbing burden, top officials and experts say. Trillions of dollars are potentially available for climate investments and countries like India are blazing a trail in bringing cheap solar power to millions, but making sure the world’s poorest benefit will prove a big challenge, a World Bank meeting heard late last week. “It’s the biggest opportunity in the history of the world – it’s the biggest investment opportunity, but we have to have a clear vision, we have to have policy leadership… to bring the world community together to get the financing that is needed to move the momentum more quickly,” former US Vice President Al Gore told the discussion. World Bank president Jim Yong Kim said financing climate action could offer a more lucrative home for $US8.5 trillion ($11.2 trillion) in negative interest rate bonds, $US24.5 trillion in very low-yielding government-type bonds and a further $US8 trillion in cash, though a clear strategy still needed to be hammered out. “Quite apart from what you think about climate change, there are opportunities for investments that will give you higher yield than any of those investments in which over $US40 trillion is sitting right now,” Kim said. Friday’s launch of a $US2 billion green bond fund backed by the International Finance Corporation and asset management firm Amundi could help drive climate investments in developing countries, she added. It is one thing when diehard old greens like Al Gore, or former UN apparatchiks like Figueres make silly claims about renewable opportunities. It is a totally different matter when someone whose job is to oversee the investment of billions of dollars of public money expresses enthusiasm for squandering that money on risky investments whose profitability seems totally dependent on the fickle financial support of politicians. Real investment opportunities don’t need special measures to “unlock” financing – as soon as news gets out, people rush to invest of their own free will. April 24, 2017 in Climate cash. flogged it to some EU suckers just as prices on carbon credits went flat..
Well I’m sure that he has done a fair amount of similar transactions, especially as he has been and maybe still is able to influence the value of renewables etc. Actually, it could be said that he is the biggest inside trader in history that gets away with it. Who would take financial advice from someone who’s declared objective is wealth redistribution to 3rd world kleptomaniac dictators? But, I agree with Greg 100% on this one! Somebody should audit the “World Bank” financial accounts; since this yodel, “World Bank president Jim Yong Kim”, misunderstands how investments work. 120 years ago Tesla advised: “Exploiting waterfalls’ power is the most efficient way of harnessing solar energy”, however, if you live in ‘pancake flat’ Holland, such advice is of no use. Planting tulips at waterfalls is hardly practical, instead Dutch harness solar energy by an equally attractive alternative. Pumping irrigation water is one of the few things wind power can do effectively. It doesn’t matter if the wind drops for a few hours, and elevating water a few feet does not take a lot of energy. 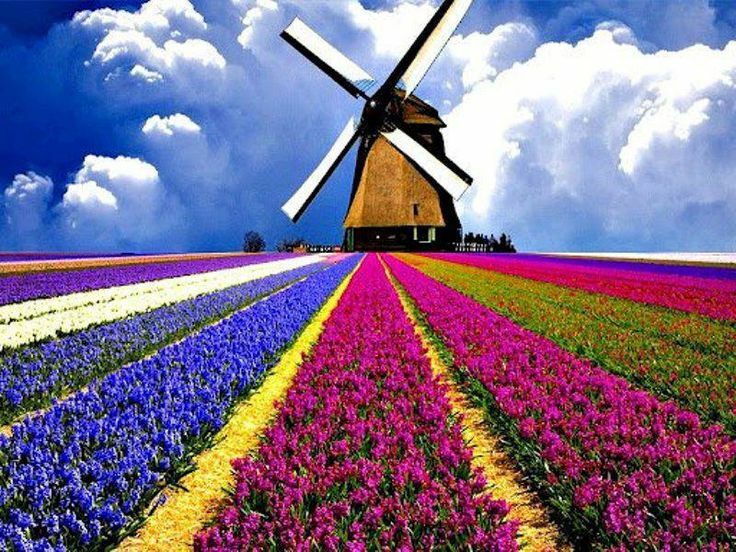 Except that the Dutch windmills that they are so famed for were used for drainage where it does matter if the wind stops. That’s why they use diesel or electric pumps instead. and lets makes electricity FREE! Wow! First post and today/s winner! Let’s get serious here for a second! Tulips would be a far better investment than this garbage anyday! Yes, it definitely has that flavor to it – very reminiscent of the great tulip mania and following financial collapse. It sounds so good – “just give me 40 trillion and I will work out a strategy later. Trust me!” I am already rounding up every spare penny I can find. Don’t want to miss out on this great opportunity. Will this be as successful as all those solar companies that are presently dealing with insolvency litigation? “Let’s invest US $40 TRILLION” – TRANSLATION: Let’s make the Americans pay $40 TRILLION for renewables. And who do you think is going to put our $40 TRILLION into their pockets? The transnational oligarchs! A sure fire way to cause a worldwide recession.Take $40 Trillion out of worlds economy and put into the warmist pockets. Al Gore your fired! I’ll think about buying into this scam when I see you practicing what you preach and begin living a FAR more modest lifestyle. Sell off your carbon BIGFOOTprint house, forego traveling by Jet to exotic locations for COP meetings (telecommuting is far less carbon intensive)and demonstrate, through personal actions, that you truly believe you are correct in what is best for the world. And we’ll get maybe a million dollars in scrap out of it. But they’ll be a lot of big yachts getting sold! The trouble with investing in renewables at the moment is it’s like buying a cheap broken down old car. You’ll spend more to fix it up than you did buying it and at the end of the day it’s still a worthless piece of junk. Investors from all walks of life are too smart to invest in an industry the depends almost entirely on government subsidies. If there was money in it they’d put theirs in it. Oh, there is money to be made from it all right. And, for new readers and the forgetful, Figueres has stated that the real reason for the Climate Change meme isn’t environmental. It is to destroy Capitalism. You might think that is a great idea. I certainly don’t. Especially since we are not being offered a credible, let alone attractive, alternative. If Figueres hates Capitalism that much, let her go to North Korea. If you see the names Al Gore and/or Christiana Figueres attached to a scheme, you know it’s a scam. This mob are just so keen to invest other peoples money in stuff that doesn’t work. What happens when the $40 trillion runs out? They’ll come after other sources individuals may have, in the name of “redistributing” it of course, you understand. Too bad bright guys like this wind up sounding like half wits. The reason that there’s a lot of low/negative interest rate bonds is that many entities are required to invest in government back AAA bonds for fiduciary reasons. Investing that into wild-eyed schemes violates the fiduciary relationship. And he’s ‘head’ of the World Bank? The other main ingredient to produce those negative interest bonds must surely be the absurdly and damagingly low central bank interest rates. How about pllain old ECB incompetence and lack of fiscal policy and oversight, because the EU does not have a federal body. The ECB and EU pols are unelected. They’re appointed by an internal process. “Lets” should be “Let’s” or “Let Us”. Grammar aside, Let’s NOT! George Bernard Shaw famously refused to use contractions. Don’t was dont. Can’t was cant, and screw the contronym aspect to it. Don’t know about its and it’s, though. Interesting thing about Shaw is that his writing seems as fresh today as it did at the time. They have the cart before the horse so-called renewables don’t work without complimentary advanced energy storage technology which is decades away if ever. Trillions ‘invested’ in useless renewables carries equivalent opportunity costs, global wealth that could be invested in the development of new energy technology that actually works. Thanks I’ll add that to my list of spelling and grammer solacisms. No. Storage cannot solve renewables intermittency. Intermittency is an incurable defect. Besides the cost of the batteries themselves, storage means that you need even more windmills and solar cells, because when the wind is blowing and the sun is shinning, you not only need to produce all the power the consumers need, but you need to produce extra power to put into the batteries. If we assumed that wind and sunshine was available half the time, then at an absolute minimum, you would need to double the supply in order to supply both the consumers and charge up your batteries. And that’s assuming no losses in either charging or discharging your batteries. So even in an unearthly example of best case scenario, not only do you need to pay for the cost of installing and maintaining the batteries, you have to double the face plate capacity of your wind and solar plants. What was already hideously uneconomic becomes 3 to 5 times more expensive. This is a great idea build nuclear power plants only. Exactly. The problems and costs with acceptable nuclear energy are far far less than the problems and costs of renewable energy. “Necessity is the mother of invention.” some inventions are useful and other’s are a waste money and time. When it requires more Fossil Fuels to create these technological inventions that if used directly to create energy produces more energy than those products can generate. Then those inventions are a waste of both money and time. If their goal is to reduce the Carbon Dioxide in the environment they fail by requiring more Fossil Fuels to make them than they’ll generate in a decade. So far most of those companies have failed and gone bankrupt and we paid for them by our taxes through the Government Grants and Subsidies they were given. But the majority of the population are ignorant of these being failures, because the liberal media keeps them uninformed. Smart investors will invest in products that deal with the change of Climate to make life more livable in the heat and cold that is inevitable. Building’s designed to withstand extreme weather conditions based upon the geographic area. Greenhouses to provide food year around, instead of grown to adapt to weather changes and insect resistance. Nature is going to adapt or die when the next Glacial Period starts. Global Warming is the only defense against it happing right now. The Liberal Indoctrination is backwards to reality. Global Warming is the Natural condition of Earth. That volcanic activities and meteors blocking out the Solar Radiation are the Abnormalities that created Glacial Periods. No it’s not, laziness is. If you really need to do something, you do it however you can, typically using existing methods. When you are lazy, you find an new and easier way to do it. Let’s hear it for laziness. There is an oft quoted example about military officers. I remember a quote from an old Sargent, went something like this; If you want to find the best way to do something, give the job to the laziest guy. Why use a block and tackle when you can just get 10 people to lift and carry the item that weighs a ton up 10 stories of stairs? Rhetorical question. Wether it was designed by a lazy person or an industrious person the need for it is apparent. Lazy people are oftentimes more intelligent and critical thinkers than less intelligent people. Yet, without the passing knowledge of scientific principles to apply them to a problem, we would still be living in caves without fire and naked. Necessity gave us clothes and nearly everything else. Laziness is more often why nothing gets accomplished. It is a poor investment for long term ROI. Name Plate capacity does not match output, or even close. Energy density is low, not to mention it is intermittent energy and so is a net destabilizing force on the grid and needs to be backed up by fossil fuels anyway which then run at high inefficiencies trying to track frequency and load. Especially wind and solar, which are notoriously inefficient for the capital invested and require Firm capacity backup to just operate. Just look at the basket case that is South Australia and see how misguided political interference can ruin a whole state’s energy grid. Subsidies will not last for ever, and then when contract is up, you have a stranded asset and are at the mercy of the Utility. Unless you are the Utility, then you you just soak your customers to pay for the inefficiency. Which happens anyway, just like Ontario and that extreme disaster. And then your customers are mad, and would if they could, dump their local utility and hope to purchased wheeled firm power from any other source offering it. Although that will be blocked by the socialist gov’t that approved it in the first place. While renewables work a bit better with a base load power supply like large hydro which can be used to level the grid, it is still a net loss if subsidies are not present to enhance the capital it takes to build them. And that will end for sure at the end of a private contract, and the state will have to charge consumers for both renewables and backup firm energy that is no longer efficient, which they have to in either case and the customer pays the excessive bill anyway. I think I already said that, so we have come full circle. No one should have more than 2%-3% of their portfolio in dedicated renewables, because when subsidies end, or better generation comes online in the future, your investment is dead money. Too much smoke, mirrors and rainbows in this picture. It is dead money. All you are gambling on is how long the subsidy will last. And the market will correct that in the end. Of course our federal government has nothing to invest and will have nothing to invest until they pay off their 20 trillion dollar debt. The USA also has huge annual trade deficits. I presume that the people who have the money will decide how to invest it. Please tell me where a green fund has provided substantial profits. There is plenty of scientific rational to support the idea that the climate sensivity of CO2 is zero so decreasing the burning of fossil fuels will have no effect on climate. On the other hand, the supply of fossil fuels is finite and Mankind must switch to alternative forms of energy before the worlds finite supply of fossil fuels runs out. We must also decrease our human population so the alternate forms of energy will sufice human needs. Conserving on the use of fossil fuels wil give Mankind more time but it will have no effect on climate. I nave never understood this ideology that we will run out of Fossil Fuels. Scientists have shown that they constantly are created. Combined with new discoveries of massive deposits being found to add hundreds of year’s to the reserves that was over a hundred year’s at current accelerated usage…and that’s just inside USA boundaries. It’s not like humans can’t figure out thing’s as fast as technology has advanced in the past century. There are breaking technologies in infancy right now that they say will out perform Fossil Fuels in energy production. Ethanol is not cost productive and less efficient at this stage…but may be in the future. There are massive Methane Ice Bergs on the ocean floor from Earths first Ice Age, that scientists are trying to figure out how to capture it. So no, I don’t see Fossil Fuels depleting anytime in the far future. But Governments need to stay out of speculation ventures on unproven technologies. If they cannot be substantiated by the Free Enterprise system. I don’t want my taxes paying people to do it. Bill Nye is wrong with what he said about the Constitution and science, that provision was to protect individuals creations like a Patent Office and that has been created by the Federal Government. The Constitution has 18 Enemerated Power’s to do and that is all. Oil and gas are alreasy becoming more difficult to find and we are having to go to more difficult to work in environments to acquire them. New advances in technology have probably added several hundred years before our resources of fossil fuels run out. Yes new fossil fuels are created over millions of years but we are using them much more quickly then they are being created. A few hundred years is not really a very long time at all. We really just started to use fossil fuels just 200 years ago and already they are becoming more difficult to obtain and we are observing that our use of fossil fuels is causing CO2 levels to increase as they have never done before during historical time. The reality is that there is no real evidence that CO2 has any effect on climate. Seems like a long time to me. I expect to be completely, fully, thoroughly, dead. I’m hoping that an exception will be made in my case. Willhaas crude oil was not much good for anything but grease and it was Rockefeller that refined crude oil about to give us gasoline and other derivatives of it. Wood and coal was used prior to that for steam power and that didn’t happen until the middle 1800’s on a big scale. Farming was still done by hand and using animals until the 1930’s by the majority of farmer’s on small patches of land under 100 acres. The false narrative of the Industrial Revolution of 200+ year’s is an indoctrination of historical illiteracy. Electricity never got going in manufacturing until the 1900’s. But it’s not the Fossil Fuels doing the exponentially increasing Carbon Dioxide in the environment directly by burning them. It’s the advancement of the human condition that increased productivity and longer lives because of farming and ranching decreasing starvation and science to heal the sick and increase the population of both humans and domestic animals and wildlife conservation. This is a population boom of all Flora and Fauna. One normal sized human exhales the equivalent of Carbon Dioxide in a year as a normal car burns in gas in a day of constant driving. In 1960 the global population was half of what it is today. That will triple in under the same rate in half the time. This applies to animals we raise for food and the crops we raise for food and food for the animals and for fibers and for fuels. This is exponentially increasing Carbon Dioxide in the environment. And all those freaks that say that the population needs to be reduced, never follow their own advice to be the first to off themselves for the good of the environment. Just like the other hypocrites of the environmentalists. Again, the increasing Carbon Dioxide in the environment is creating a balance with the aerosols of Volcanic Activities and is holding back the immediate cause of the next Glacial Period by the increasing volcanic activities in the last few decades. Presidents have limited powers. It’s the partisan obstructionism of the Liberal Progressive Democratic Socialist American Fascist Party that keeps Congress from working. While they were the majority they refused to bring some 300 submitted legislation created by the Republicans to a vote in the Senate. Now they are children throwing tantrums that Queen Hillary lost. Trump was elected on what he campaigned on and with the majority of polls showing the people want what he said, these leftist keep obstructing of those from passing bipartisanly. Excuse my mini rant. They’re really getting under my skin and I had to scratch my ich. By all means, let them keep throwing their tantrums, dragging their heels, and being sore losers in general. Every day they keep it up is another rock on the landslide that’s ready to fall on them come late 2018. An even better chance of seeing Republican super-majorities in both houses post-midterm. You have an oxy moron in your understanding of science. Let me explain. The Last Ice Age caused the mass extinctions of something like 78% of land and sea Flora and Fauna. These death’s created an increase of Carbon Dioxide by decaying matter. The Ice Age also trapped Carbon Dioxide in the lower temperatures of the surface water and in the ice where the scientists got their data. Global Warming started after the Atmosphere was able to settle out tbe trapped Volcanic Aerosols, ash and dust and the dust from the Meteors that occurred in that period. That Natural condition took thousands of year’s of Warming to release more Carbon Dioxide from the Warming Water and Ice. Flora and Fauna naturally create Carbon Dioxide in the environment, as do soil respiration and volcanic activities and there have been hundreds of active volcanoes since tbe end of the last Ice Age…causing localized and global Cooling like the Little Ice Age that was the latest. The Earth has become exponentially Greener and exponentially populated by Fauna because of the exponentially increasing Carbon Dioxide that is the most beneficial Fertilizer in tbe environment. More Carbon Dioxide equals more plants equal more food for Animals on land and in water that the more Animals produce more Carbon Dioxide for the plants that produce the Oxygen for more Animals…the Life Cycle is perpetually and exponentially increasing Carbon Dioxide in the environment at 99.95% by Nature and 0.05% from Fossil Fuels, cement manufacturing and industry and deforestation by humans activities. Humans have doubled since the 1960’s to over 7.3 Billion. There isn’t any food shortage…only stupid governments creating intrusions into people’s lives. Billions of tons of food is wasted yearly because of Government Intrusions on the Free Enterprise system. They control the products production, quantity, quality and distribution that creates price distortions. When Government intrusions of regulations cost the farmers and ranchers more, it’s passed on to the consumers at higher prices than they can afford and creates waste by rotting on the groceries shelves. This is the Leftist ideologies of Keynesian Economics at it’s worst. The reason why we have a trade deficit is because we have a budget deficit. You can’t get rid of the first until you get rid of the second. In a normally operating market, if a trade deficit exists, eventually there will build up an excess of dollars overseas, this will cause the value of the dollar to drop and making US exports cheaper and US imports more expensive. However, thanks to the US budget deficit, foreigners can spend their dollars on US T-bills instead of buying US products. enargpia, I know that you love to prove just how big an idiot you are. You have vastly exceeded expectations again. 1) Clinton didn’t run surpluses, it was congress that refused to spend all that he asked for that caused the “surplus”. 2) It wasn’t a surplus since they were using the excess money going into the SS “lock box” to hide the fact that government was still in deficit. 3) It takes more than a year or two to reverse something that big and entrenched. 4) In the years immediately following WWII, the US had pretty much the only functioning factories on the planet. It’s hardly surprising that the rebuilding economies of Europe and Asia were buying more from us than they were selling to us. Facts are spin? I see enargpia has gone into his patented change the subject mode. You were trivially correct that for a short period of time other forces were so dominant that they over rode the normal market dynamic. The real world always requires payback for periods of imbalance. The result of the trade surpluses in the 50’s was even bigger trade deficits in the 60’s. Another factor that was in play during the 50’s was the advent of the US dollar as the world’s reserve currency. As a result trillions of dollars were taken out of circulation by foreign governments. Another reason for the alleged budget “surplus” was windfall capital gains tax receipts from the Dotcom Bubble. And there was the defense cut benefit of about $100 billion. And there was $10 per barrel oil. There was lots of economic stimulus during Clinton’s terms, which Clinton had nothing to do with other than signing off on the budget reduction plan. Presidents normally don’t have much effect on the U.S. economy other than through cutting taxes and regulations, or increasing taxes and regulations. Other than that, it wouldn’t matter who was president as far as the free market is concerned. Now, Trump may be a different kind of president. It’s the first time we have had a CEO in the White House, and he is tackling the job just like he does his business, which is highly unusual in Washington DC. It’s going to be interesting watching him work. Should have been billions instead of millions of dollars for the Y2K expenditures. What is Big Al’s net worth.??? Maybe if he REALLY BELIEVED any of the AGW BS, he would invest his own money, rather than always scamming it into his own pockets. What he is effectively doing is asking investors to make him richer. ! it would be a play entirely dependent on the views of politicians, and their willingness to make rules or outright subsidies to sustain inefficient “renewables”. It is hard to tell if Trump will follow his campaign promises, but the wind and solar investors should be very nervous. Well, if $40 Billion is too big to fail then $40 Trillion is what, a thousand times more secure? How’s the old saying go? When you owe the bank $1000, the bank owns you. When you owe the bank $1,000,000, you own the bank. No sarc off required BFT, it is a great position to be in, isn’t it? Too big to fail, too big to jail… so your investment cannot fail – the taxpayers of the world will be on the hook for it. This is the insane precedent which was set back 07/08, TARP (troubled asset relief program, QE, ZIRP and NIRP, etc. since then). This is a financial bizzaro world and twilight zone that any economics “expert” 15 years ago would have said could never occur – free market forces and all that,how could you possibly have negative interest rates, etc. . Well it has occurred and that just goes to show there are no “free markets”; it’s all manipulated, it’s all planned and it’s all going to plan. The international bankers really do have the whole thing sewn up. They’ve certainly have got the western population stitched up, good and proper. I urge any UK resident to look at the back side of their electricty bill and notice they are being scammed through renewable obligations (EU but think UN) by global banking interests from the get go. Just MHO. I get so tired of watching this slow march towards global totalitarian government, orchestrated by the global banking powers (and I believe the UN climate scam is a very major part of this effort). I call them the global banking powers because the BIS is a very secretive organisation and you don’t get to know very much about the actual people behind it. And the IMF and the World Bank. I have to ask you, rhetorically and as I heard someone else put it most succinctly: who elected these guys to run the planet? Can Leftist government hacks just stop breaking our legs in the first place? I like your metaphors. Your perception is quite accurate. You completely made that up. LFTR Energy cost of $0.03/kWh is an estimate from FLIBE Energy Corporation. Sending the money to Third World villages to burn in their firepits would be a sounder investment than so-called renewable energy. 1) who will then hold the $40T in bonds? 2) will the private investors be totally private? or will they expect government subsidies and bailouts? I have no problems with renewables going private, preferably completely private and preferably off grid. Just don’t distort the market with subsidies. I love example of renewable power ‘working’. In rural Africa, if you live off the grid, you pay someone to charge your phone from solar panels. It will cost you about $91/year to keep your phone charged. In America, hooked to the grid, the electricity will cost you $0.25/year. The phone charging electricity in Africa is 383 times more expensive than in the US. The good news is that someone makes a living charging phones. This must be the kind of business opportunity Al Gore is talking about. Depending upon what the $91 you’re talking about…the South African Rand is worth $0.077 USD. So 91 Rand is $7.007 USD. I forgot to provide a link. As far as I can tell, the author is talking in US dollars. “World Bank president Jim Yong Kim said financing climate action could offer a more lucrative home for $US8.5 trillion ($11.2 trillion) in negative interest rate bonds, $US24.5 trillion in very low-yielding government-type bonds and a further $US8 trillion in cash, though a clear strategy still needed to be hammered out. Think about that for a second. The “low carbon” investments like solar/wind, etc. they’re talking about are heavily subsidized using money collected by issuing the very low-yield treasury bonds that this bonehead now wants to cannibalize. If investors divert money from treasuries in search of higher yield on riskier green ventures, the fed is either going to have to offer higher interest rates to attract the money used to subsidize green energy and therefore make treasuries more profitable (canceling the whole inventive for this scheme), or cut the subsidies, which is going to tank the green ventures. Either way, this ponzi-logic doesn’t make any kind of long term sense. It kind of scares me that someone so economically illiterate is in charge of the World Bank. For sure, a lot of those bonds were probably issued to pay for the useless renewables we already have. So Mr World Bank, do you actually realise what you’re saying here? I think you do (*possibly* you are on/from another Planet, but…) but most of this planet is in such a stupefied state they don’t hear you properly. Being a banker of course, maybe that ‘other planet’ actually exists. Its called ‘Planet Other People’s Money’ and hence what you say makes perfect sense, for there. Fairly well populated by the looks also. Where the fook is NASA when you need them, isn’t their job to find new planets? If the World Bank president is setting forward a plan that doesn’t make sense then that’s a clue that there are ulterior motives. I don’t know what those might be, but I have a feeling that in addition to the trillions that can be made off of renewable energy investments, an additional gadzillions could be made off of derivatives based on those investments. When this scheme collapses– when the bubble eventually bursts after the inflated price of carbon collapses, or for whatever reason– mom and pop will be left holding the bag since their wealth will have been transferred to those who want us to buy into this scheme. Neat! Of course, renewable wind/solar power generators don’t last very long. If these morons really wanted to reduce carbon emissions, they should be investing in the only practical technology that is right around the orner – molten salt nuclear reactors. They have the ability to produce power cheaper than any existing technology and last a very long time – three times that of solar panels. Renewable technology is so 18th Century. Not from what I’ve studied. Molten salts are very corrosive to metals and minerals. Fused graphite is the only thing that can stand up to them and then cracks form making them dangerous. 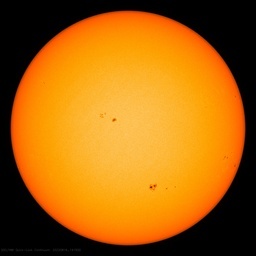 At 650 degrees Centigrade it simply melts most thing’s. I use molten sodium chloride to dissolve base metals, gold, silver and the 6 platinum group metals in a fused graphite crucible from jewelers scrap, catalytic converters and electronics. These high grade crucibles always crack and they are dissolved in the process. Melting table salt is a lot lower heat than used in the process you’re talking about that uses thorium floride…if my memory is right. That experimental reactor was shut down about 6 year’s after it started because of those issues. I played around with HHO from low salt water and that is a technology that’s renewable and efficient and ignored by many. Cracking the water molecule is simple at low amperage to get HHO gas that burns clean and the exhaust is water, hydrogen and oxygen. I converted small gas engines to run on just HHO and there is no carbon to dirty the oil like Fossil Fuels do. Adding it to my vehicle increased gas mileage by 9-10 mpg and oil changes go over a thousand miles farther than recommended. An inventor created an injection plug on a VW motor and mysteriously in good health died just before his scheduled press demonstration year’s ago. The technology is out there. I wonder how much fossil fuel capacity you could build with 40 Trillion. Or nuclear. MY guess for nuclear with WWII ot Marshall plan type mobilization by China, Russia, Korea, USA, and France could easily build and commission 7000 GWe of nuclear with that money, enough for everyone on the planet to consume electricity like Western Europe, not bad. With coal, double or triple that, but with so much capacity, fuel would be pricey. Isn’t there an old saying, “Build a better mousetrap and the world will beat a path to your door” ? By keeping Africa poor by refusing to let them us real energy, they insure that its population will continue to double every 20 years and flood into Europe. I guess that’s the plan. Some will go to infrastructure. Some will go to … well, maybe they will find out where at some point. Some will make people rich. And some will come out of ‘investor’s” pockets, never to return. Even if there were a decent return to be had, who then will hold those 40 trillion in bonds? Central banks have not engaged in QE without a reason. The world has run out of people willing to hold additional financial assets. The world bank used to be about financing infrastructure in third world countries. Now its mission is to use socialist environmentalism to turn all countries into third world countries. Still the same mission, invest in poor people, as making more of them. They need to be defunded now that Jim Yong Kim has been re-elected for another five year term. It must be crazy to work there. At one time, you are investing in big dam projects supplying huge amounts of electricity to non-electrified countries. Now, you are investing in transgender windmills. Bernie Madoff, eat your heart out. There was another guy named Al Gore who said we only had 10 years to save the planet — and that time is up. These two Al Gores need to get together and sort things out. This is fine if the US Government does what the Spanish Government did, and guarantee payment of interest and repayment of principal. …because the Oligarchy can profit tremendously from negative yields on such investments. The biggest challenge for this scam is how to unlock the bank accounts of The Mark….. Skepticism is a real good thing, if you don’t want to be conned. Perhaps Gore, Kim, and Figueres should try to persuade big political donors like Steyer, Bloomberg, Soros, and Buffett to waste their money on low-carbon climate investments instead of on failed candidates like Hillary Clinton. They might even get better than a zero return on their investments… maybe. People say to me: “So you think you know more about climate change than the experts?” I say: “Apparently!” After reading this article, I can now say that I know more about economics than these so called experts. Unfortunately, that is not hard to do. Absolutely. There is a demand for “experts” to “speak out” about global warming (and economics). They are rewarded, their careers advance. They and their families are rewarded financially. So many of these theories ignore basic science of how chemicals react in different environments. The first scare tactic was that increasing Carbon Dioxide would create another Ice Age…because Carbon Dioxide is what Dry Ice is made of. Then moved to Global Warming because of it’s refectory abilities and Greenhouse theories came. Acid Rain and Acidification of the Oceans came as the next scare tactics…then it was found that Acid Rain was beneficial to plant growth and studies showed how crustaceans shells get thicker and shellfish shells only get thinner with over 1,500 ppm CO2 in the Oceans salt water. That fish are not affected much and Whales can withstand over 2,000 ppm. The Coral Reefs are not damaged by Acidification as the extremist projected it to cause, it’s the raising of the build up of the Coral to where UV Rays effects them and the raising of the Oceanic tectonic plates…and stupid boaters and divers damaging them. I’m not an economics genius, but I understand stupid investing. Al Gore is trying to get 40 Trillion to fight Global Warming…on Facebook too. And another forty-trillion goes swirling down the pipes. And, once again, we’ll get an absolute donut hole for it. The English language is a wonderful thing with a seemingly limitless lexicon, one which suits all occasions. Let’t pull out just one of the words here – DAFT. Yes, DAFT, is a good fit. If the World Bank operated as a business it would either be bankrupt or closed due to unethical lending practices. It is nothing more than a funnel to redistribute money as the Marxist ideologists see fit. Why the US continues contributing to the World Bank is a mystery. Invest 4 thousand times less in the MSR 4thGen nuclear R&D and you can forget renewables.